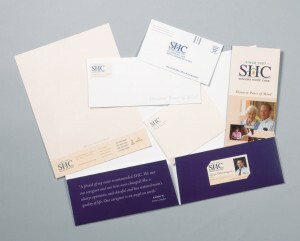 Professionally designed business collateral materials help you establish a graphic identity with targeted audiences. Ultra-Color translates art into business cards, envelopes, stickers, presentation folders, stationery, and more. We use the highest quality paper and equipment to produce superior products, which convey a professional, memorable image for you. Our design staff can translate a logo into a complete identity or use customer-supplied art to apply the correct colors and fonts to create a cohesive marketing image. With the use of short-run printing equipment, Ultra-Color can produce personalized stationery and other materials for as many employees as our clients need. Contact us today to find out how our affordable, high quality business collateral materials can meet your needs.